Become the apex predator! Hunt your enemies on stream with these clean designs inspired by the worlds of Apex Legends and Destiny. 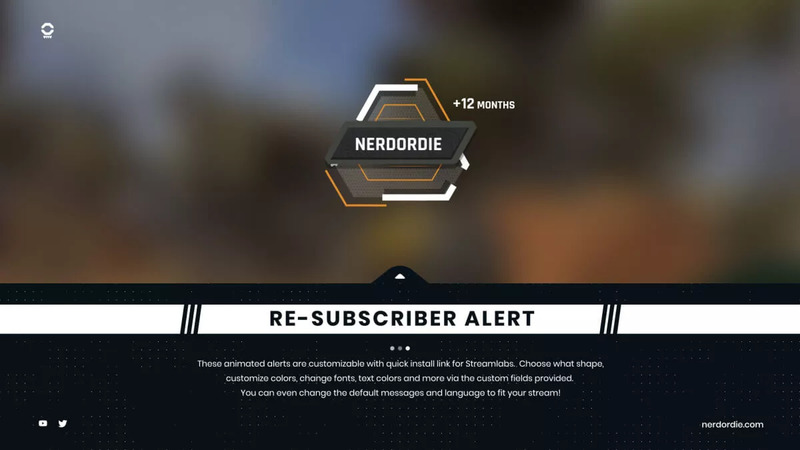 This stream package includes exciting animated alerts as well as ovelays, widgets and much more. 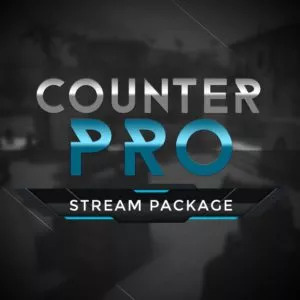 It fully supports OBS Studio, Streamlabs OBS and XSplit and will work for streaming on Twitch, Youtube Gaming, Facebook and Mixer. Fully tested with the Streamlabs alert and widget platform. 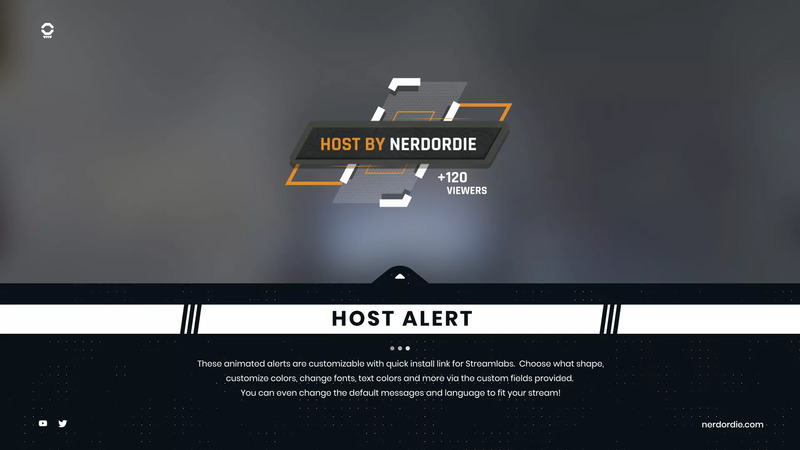 The Predator alerts are a hard-hitting addition to any streamers broadcast and 100% customizable. 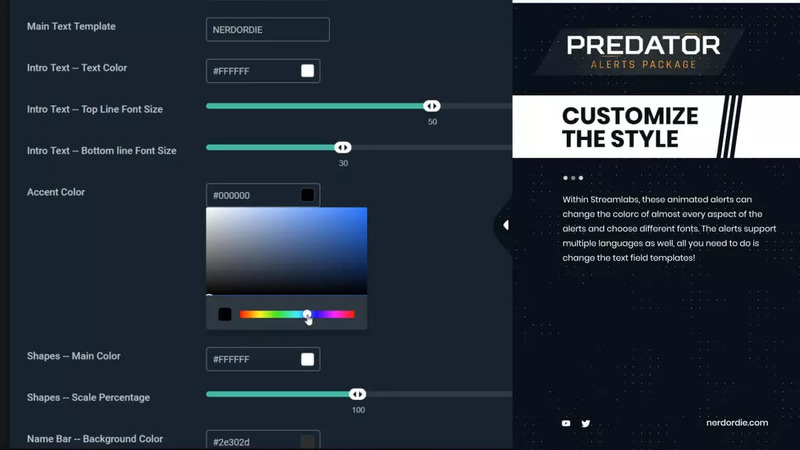 This animated alerts package allows you to choose the shapes, colors and fonts of almost every aspect of the alerts. The alerts support multiple languages as well, all you need to do is change the text field templates! 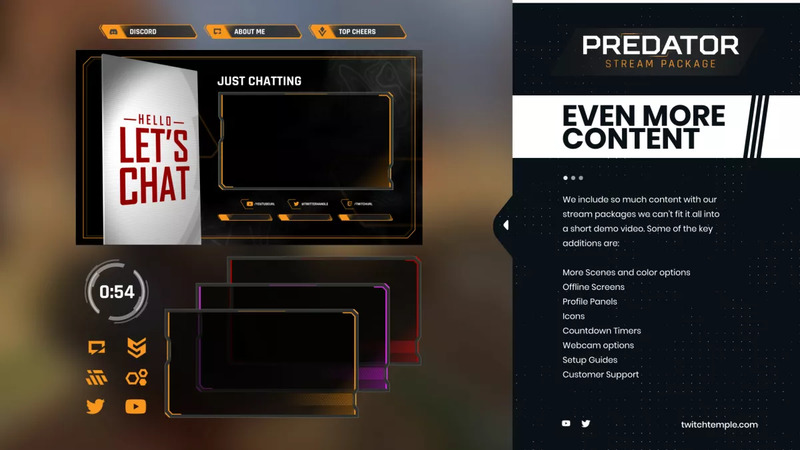 Stylistically reminiscent of the worlds seen in Apex Legends and Destiny, these alerts can add to any streamer’s live experience. 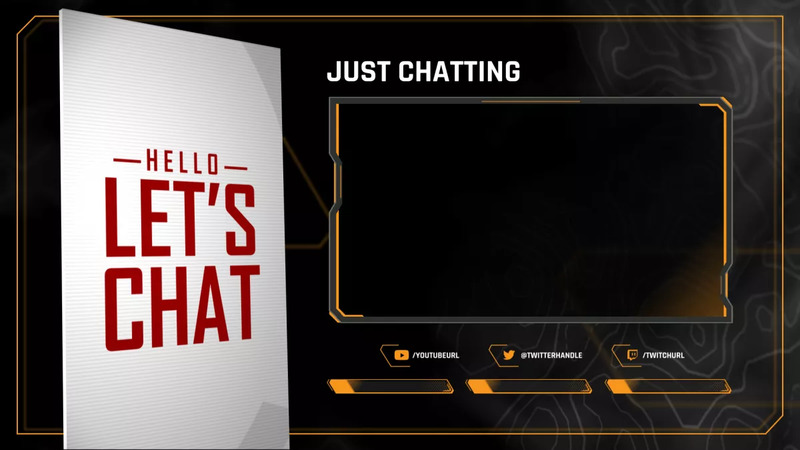 The Predator Overlay pack includes animated video files, custom goal widgets, and a custom chat widget, all design to work around Apex Legends in-game interface as well as other games so your viewers won’t miss a thing! 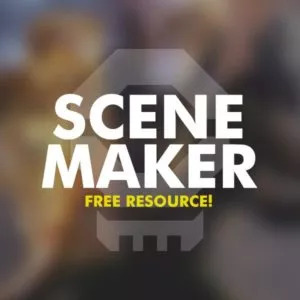 Several default color options (orange, pink and red) have been provided, as well as icons, profile panels, stingers, multiple scenes (Starting, ending, brb, chatting) and webcam frames (both 4:3 and 16:9 aspect ratios). We expect this package to be adopted by streaming enthusiasts who are likely to use this product as a template to build their brand from. 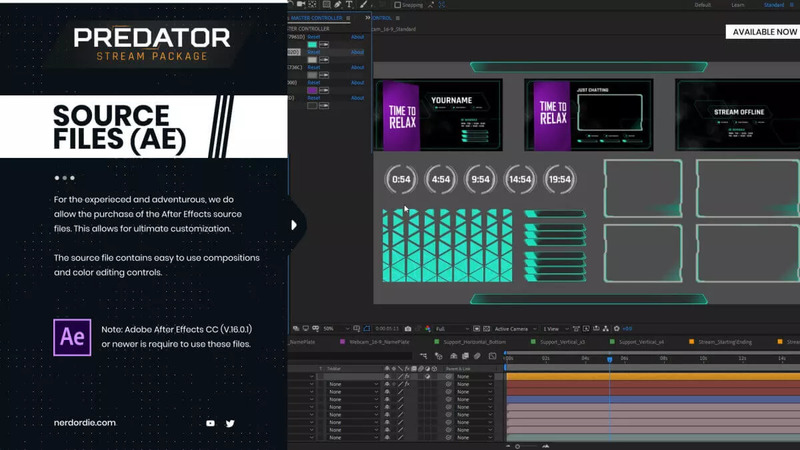 We’ve added the ability to gain access to the After Effects file to have complete customization. Please note that these files are intended for those who have experience with the required software. Customer support for software inquiries are not included. My first ever paid for alert pack, and I’m not disappointed! The amount of customization i could do with the included options is really cool. If i am to give negative feedback on something however, it would be that you are unable to edit the size of the “bar” surrounding the names in the middle. Or atleast I saw no obvious way to do so.. Over all i’m happy with how things turned out and will use it for my next streams!